After not having had a vacation in over two years I decided that this year, no matter what, I was going to get away for a week. 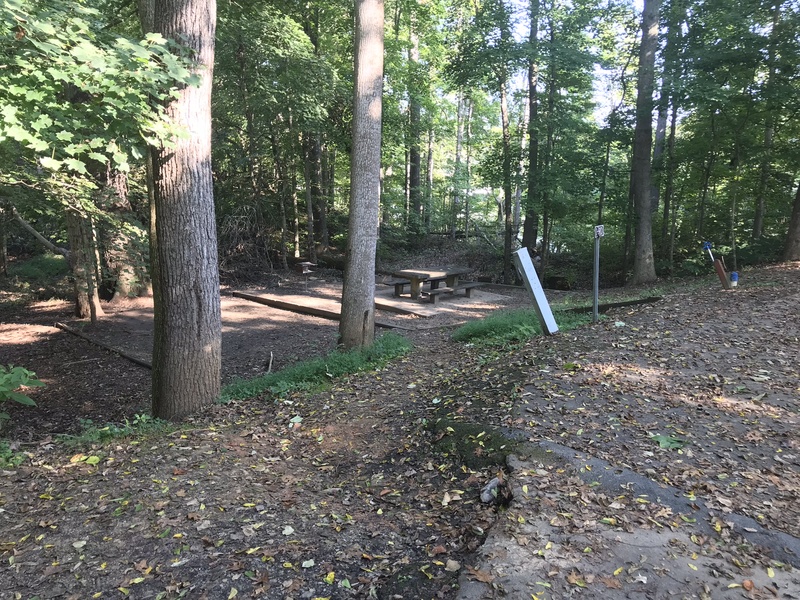 I contemplated a few different options, but ultimately I decided I needed to scratch an itch I had developed recently and give camping the old college try. 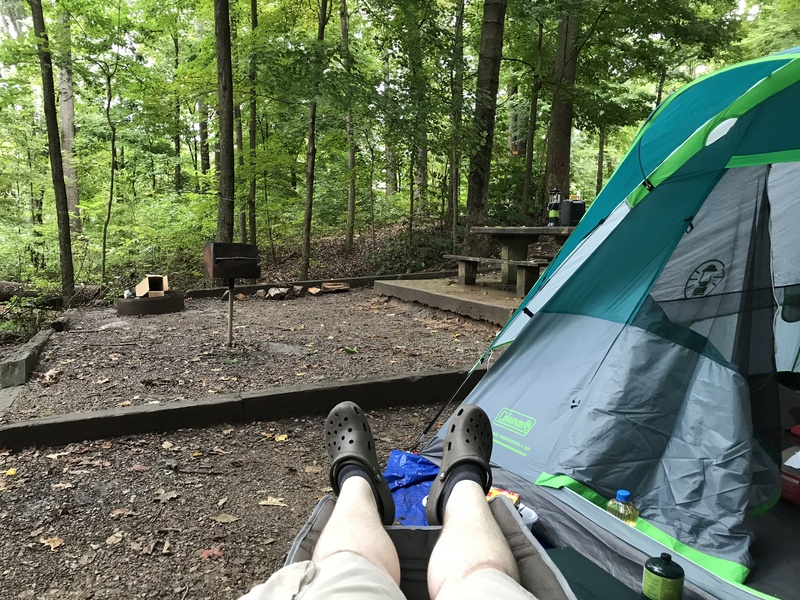 Although I had gone camping with my parents in an RV many times as a kid, I’d never gone tent camping, and I’d never really “roughed it” on my own. 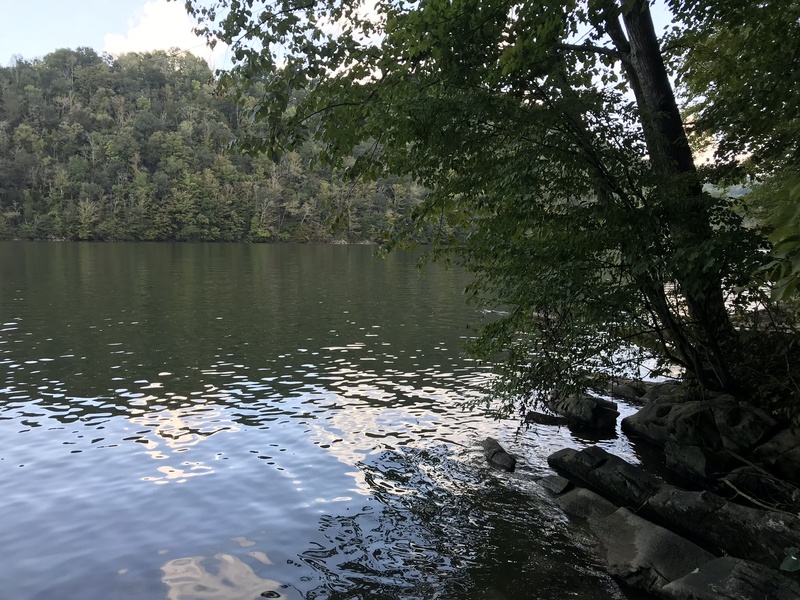 I wanted to go somewhere without an internet connection, with no access to technology, and make a genuine attempt to unplug for a few days. I had grown frustrated and needed to unwind and reflect on things. I needed to stock of where my life was, where I wanted to go, and how I wanted to get there. 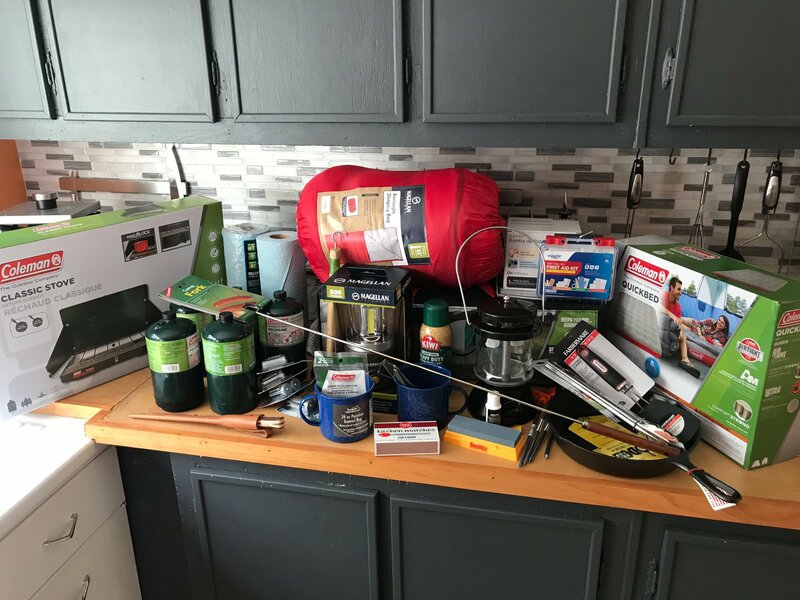 So I did what any self-respecting budding outdoorsman would do: I went to the store and bought pretty much anything I thought might be useful. I also purchased a set of books I had been meaning to read for some time, and decided on the lofty goal of reading one per day. 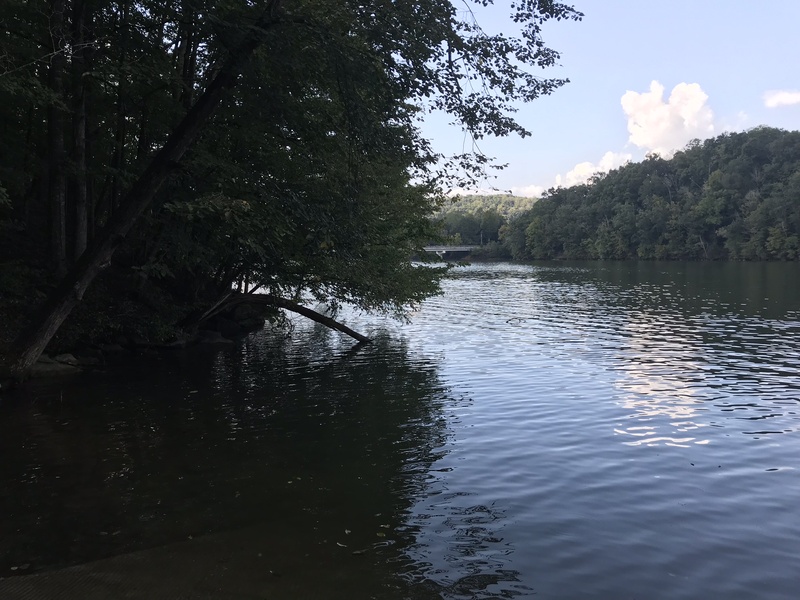 When the day finally arrived I loaded up in my pickup truck and headed to the campground (at Warrior’s Path State Park in Kingsport, TN). 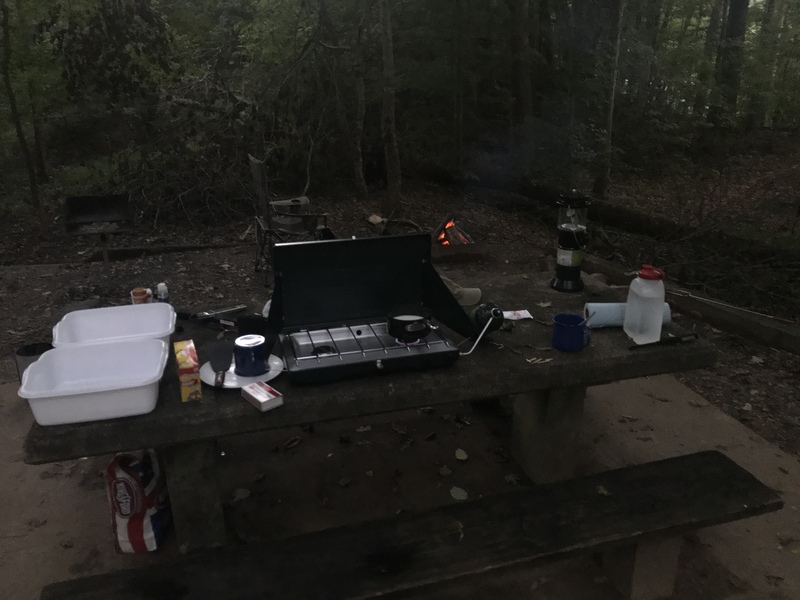 This was the Monday that hurricane Florence was hitting Western NC / East TN and people said I was nuts for heading out to camp in the storm, but I decided I could beat the heavier rain showers if I hurried and got set up, and as it turns out I was (mostly) right. 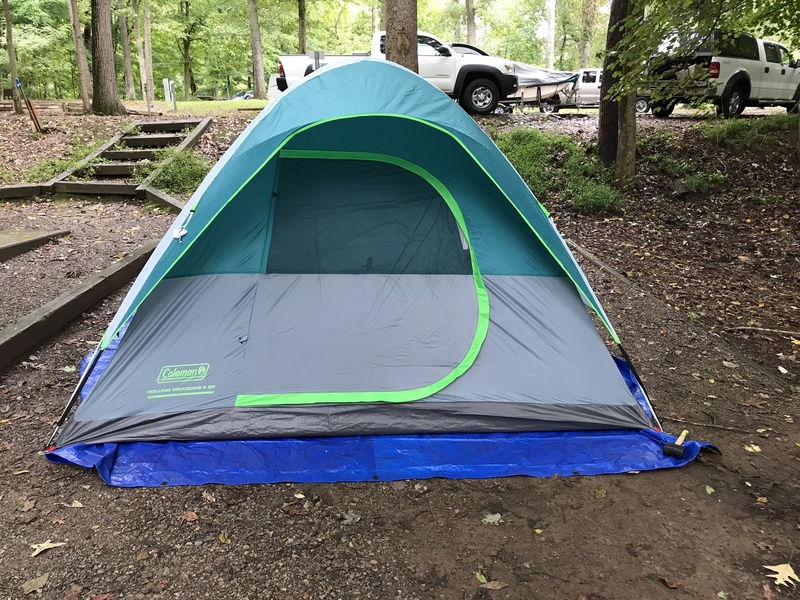 I got to the campground and was able to almost finish setting up my tent before the rain set in again. 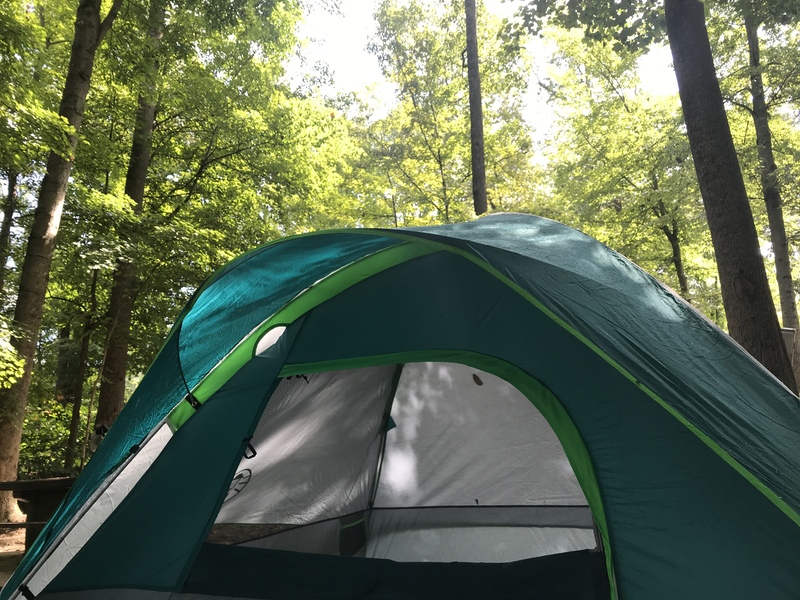 If I hadn’t made the mistake of following the directions by not putting the tent pegs in before inserting the poles (it’s way easier and quicker to put the pegs in first), I would have made it before any rain, but alas, these are the things you learn as a tent camping virgin. I started getting settled in. Unfortunately, the rain picked up and I retreated to my tent for a few hours. 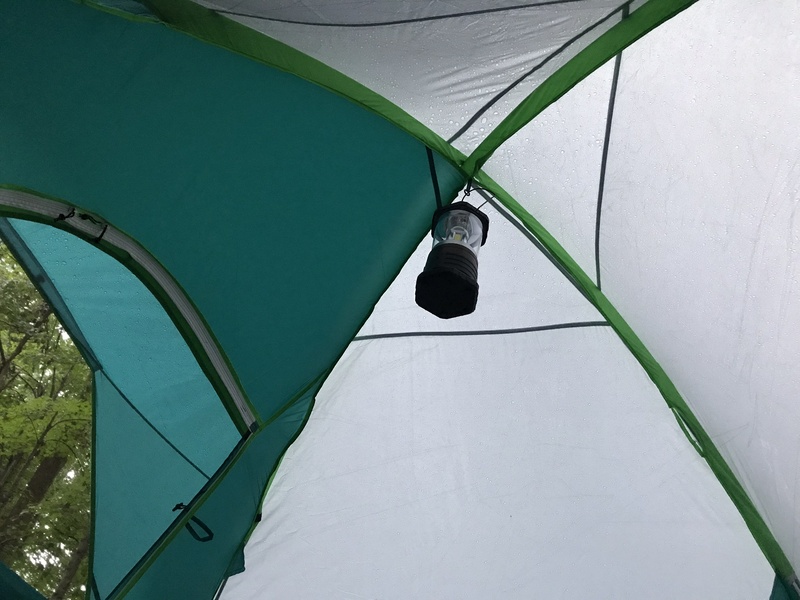 The sound of rain in the tent was amazing. I captured a bit of it on (shaky) video. There should be a video of rain falling on a tent here. If not, your browser may not support the video tag. The next day the rain disappeared and from then on, for the next week, it was nothing but pure sunshine. The first day I decided I’d spend the morning eating breakfast at Waffle House and collecting supplies I had forgotten or not even considered (for example, I somehow completely forgot to bring pillows to sleep on). 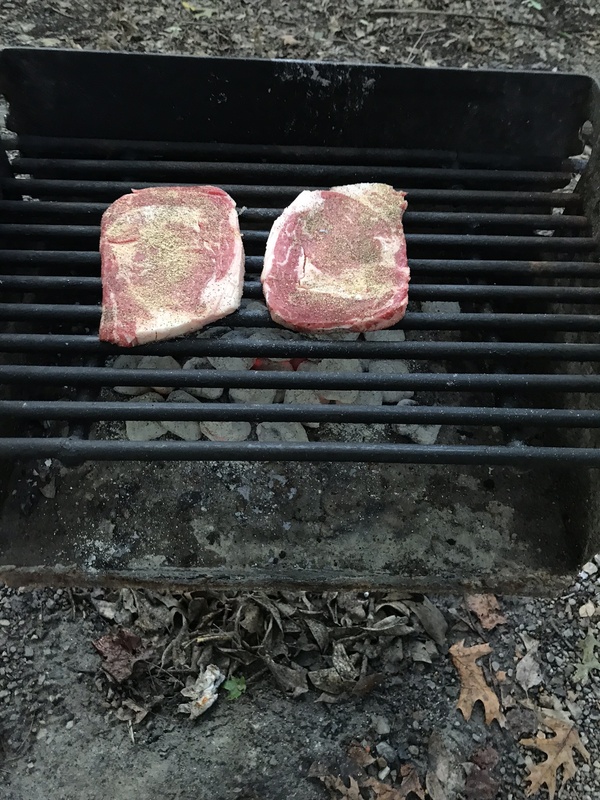 That evening I cooked steak over charcoal. 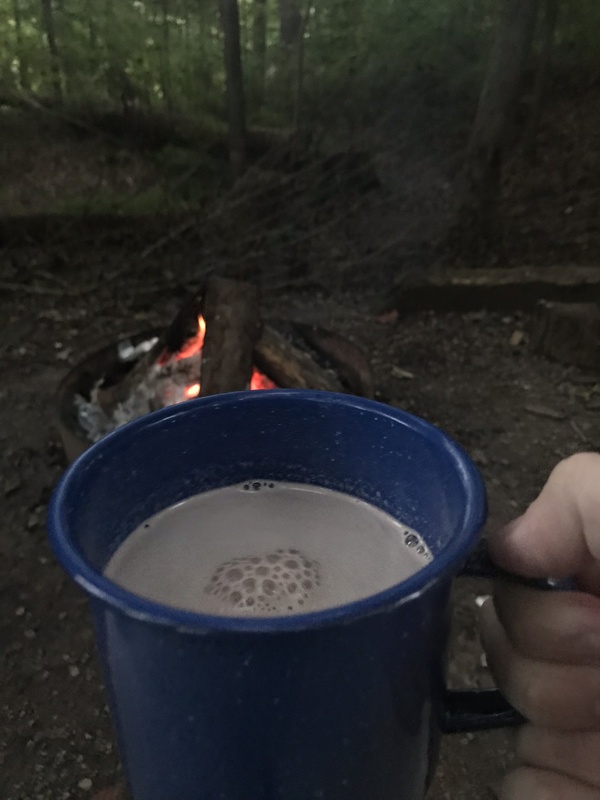 Then I made a lovely cup of hot chocolate and enjoyed a campfire. For the next week I spent my days reading, cooking, hiking, and napping. Not too shabby. I walked down to the lake a couple times. 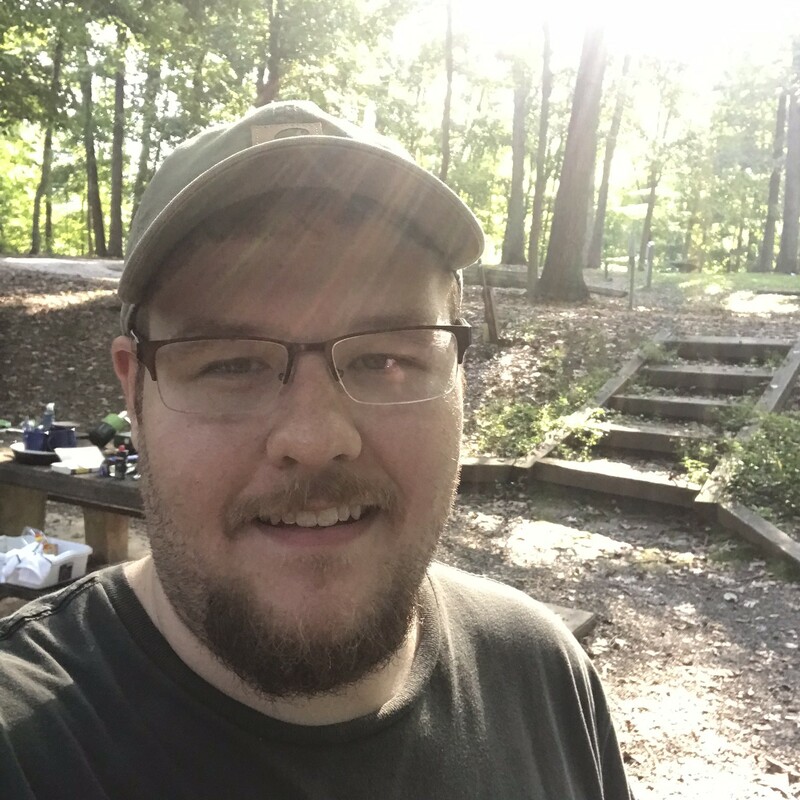 I snapped a selfie on one of my last days of the trip. Packing up on the last day was the worst part of it. The tent was wet and covered in ants, and it took a few hours to vacate the site. I snapped one last pic as I left. 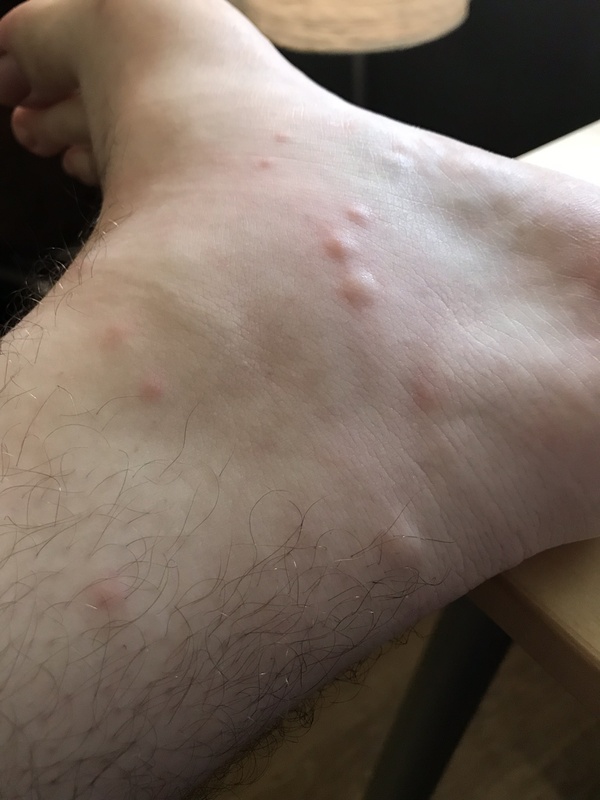 Back at home, I was in agony over my bug bites. Here’s just a small sample of what my body looked like. Next time I’ll be sure and use bug spray. I had a rollicking good time on my trip, and it did me a tremendous amount of good. I came back rested, rejuvenated, and more determined. It was also just plain fun. I can’t wait to go camping more next year. Spring can’t roll around quickly enough. I expected to be uplifted or given a raw look at someone close to death, but I found very little of substance in this book to be honest. 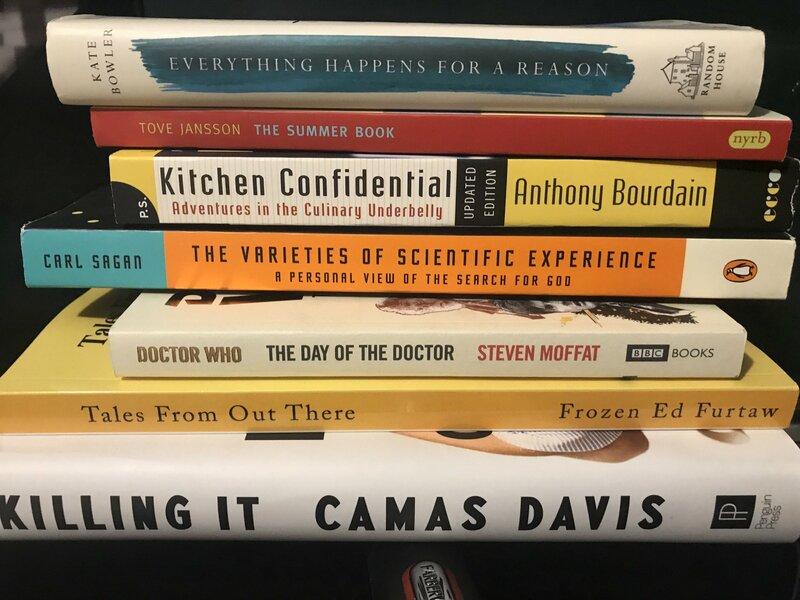 Other books, like Mortality by Christopher Hitchens or Smoke Gets in Your Eyes by Caitlin Doughty, give a much better look at sickness and death. 2/5.